This kit is to hang a single sided banner, flat to the wall. 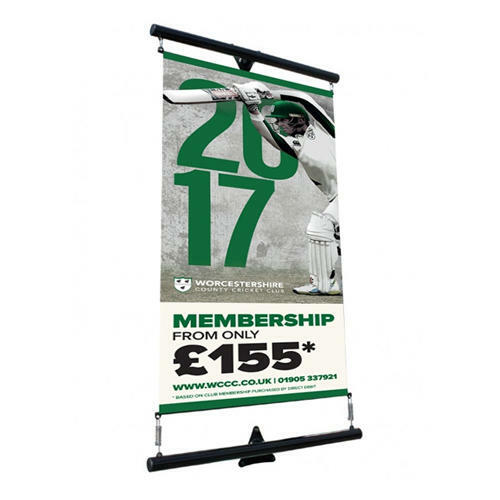 Takes a 915mm wide banner. Black or white from stock (other colours available to order). Colour matched Uplighter/Downlighter Kits available.